Our Museum Volunteers for the Environment (MUVE) team has officially begun work on the East Greynolds Park restoration site, where we’ll aim to balance the park’s natural environment. It’s our goal to increase our native plant species while reducing the occurrence of destructive invasive species, creating a more sustainable ecosystem and strengthening the park’s defense against sea level rise. 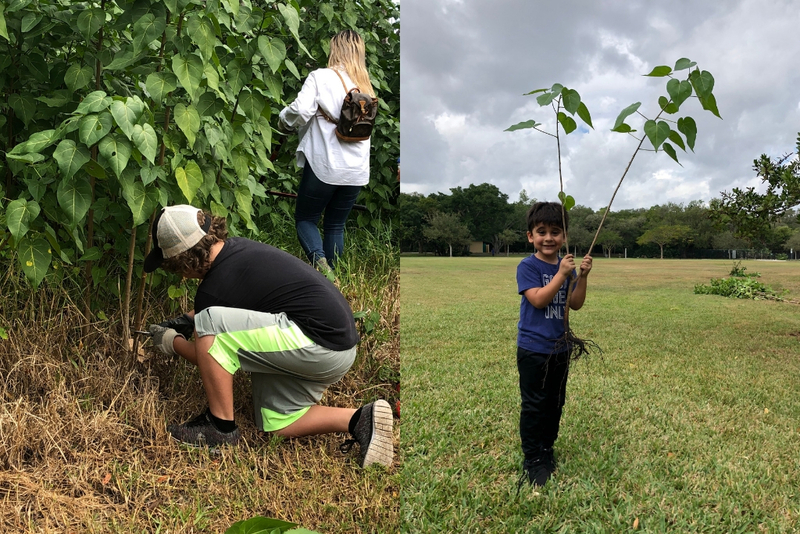 And while we may be just getting started, we’re excited to report that our volunteer citizen scientists are well on their way to restoring East Greynolds Park into a thriving natural habitat! Here’s how we’ll get it done. 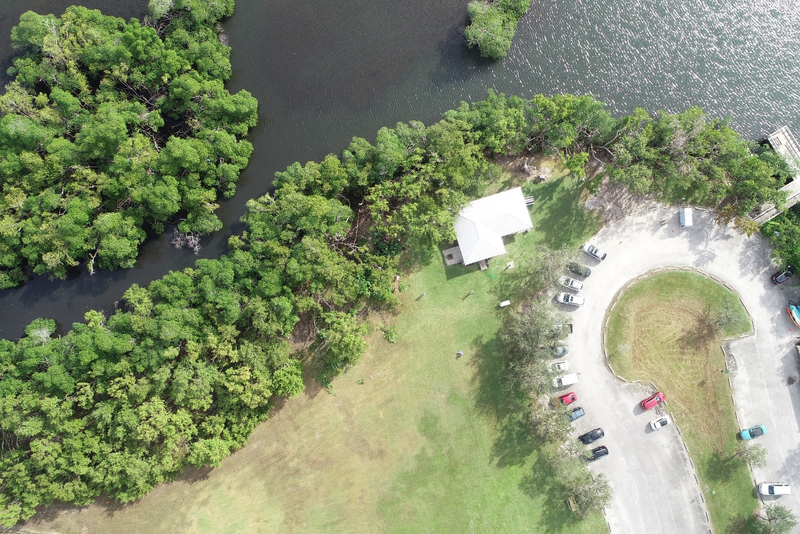 Maule Lake, a former rock mining pit that connects Dade County’s last wild and naturally flowing Oleta River to Biscayne Bay, is getting a much-needed face-lift with this restoration. At the turn of the century, Maule Lake became a metaphorical gold mine for the real estate giants shaping South Florida’s murky landscape. In need of fill to build the railways, roads and buildings that line our shorelines today, developers dredged the lake to form a rock quarry, decimating very dense mangrove forests. Though today we know that mangrove wetlands are extremely important to our natural ecosystems, that wasn’t necessarily the case when Maule Lake was formed. Mangroves’ benefits are wide-ranging: They trap harmful greenhouse gases, maintain freshwater’s cleanliness, refuge important commercial fish in their juvenile stages, and protect coastlines against rising sea levels and storm surges. Here in Miami, we have three native species of mangrove: red (Rhizophora mangle), white (Laguncularia racemosa) and black (Avicennia germinans) and a closely associated species, buttonwood (Conocarpus erectus), all of which are found at East Greynolds Park. Unfortunately, hydrological changes have led to the unchecked, rampant growth of salt tolerant invasive plant species, such as Brazilian pepper (Schinus terebinthifolia) and mahoe (Thespesia populnea). These invasive species can, in some cases, cause severe stress to our native mangroves, because they now have to compete with these new intruders for limited resources. Because these species rarely have any natural predators, they’re often free to take over whichever environment they wind up calling home. Rather than put up a fight, our native mangroves tend to alter their own habits, which ultimately causes the entire ecosystem harm. Sadly, invasive species are often propagated by human activity – the releasing of pets into the wild, the movement of boats around the world, and the cultivation and planting of non-native plants can all cause invasive species to grow and spread. At our restoration site, invasive plants are currently outcompeting our essential natural mangroves, and the MUVE team has been tasked with restoring harmony among these warring species. 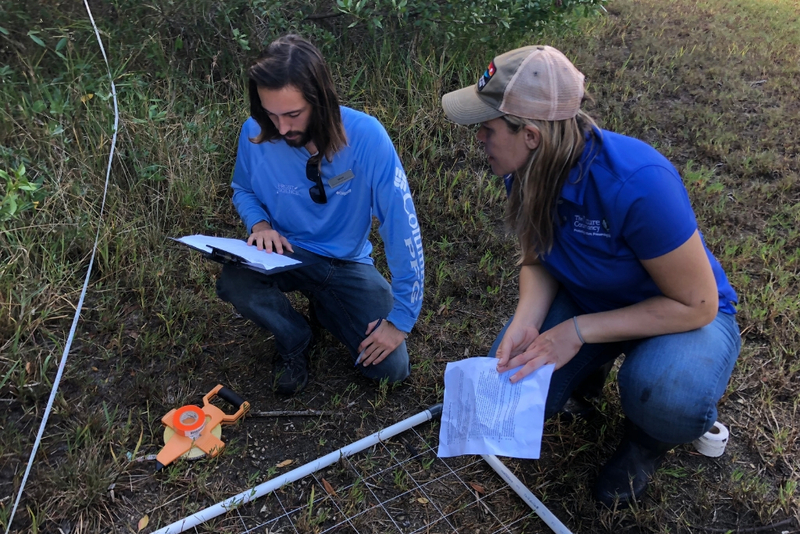 Using quadrats, the MUVE team and their partners from Miami-Dade County and The Nature Conservancy recorded which plants are currently found at the site and how they affect the larger ecosystem. 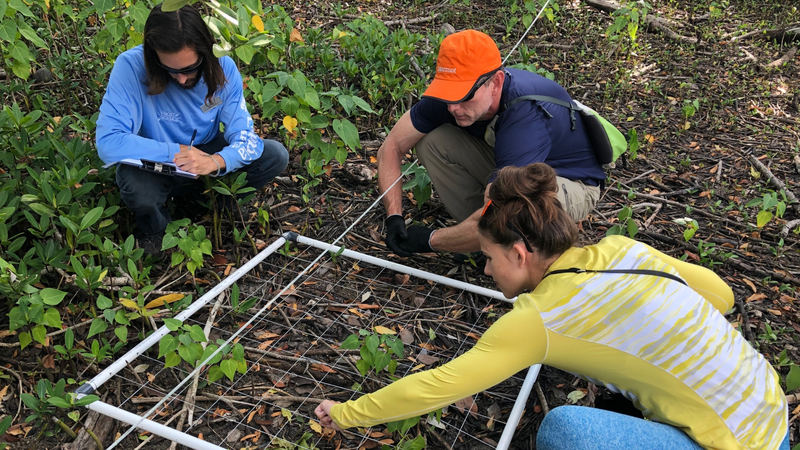 After this initial recording, our volunteers got to work removing invasive trees and planting native mangroves and other saltwater wetland plants. New measurements will be taken every three months until restoration is completed, and this type of robust scientific study is exactly the stuff that scientists’ dreams are made of. Using this recorded data, our MUVE team will easily be able to determine important ecological changes mediated by volunteer’s efforts. While this battle has only just begun, this practice will eventually restore the original hydrology of the site and encourage the healthy development of vital native habitats for more mangroves to grow. Soon, East Greynolds Park will be more resilient against sea level rise and better prepared to withstand anything nature throws its way. MUVE is generously sponsored by Wells Fargo, FedEx and the National Fish and Wildlife Foundation. This blog post is sponsored by US Storage Centers.